Promote your business with a beautiful, full color map of Lake Minnetonka, featuring water quality information and a narrative of the history of the lake area. We'll work with you to customize the map with an imprint of your corporate logo and company information. Take a look at this map of Minnehaha Creek Canoe Routes located inside the Watershed. This map gives a detailed description of the Watershed in the 1800s and today, as well as provides information on safety precautions, canoe/kayak rentals, and the water levels and hazards within Minnehaha Creek. This guide serves to accompany the Minnehaha Creek canoe map and provides information on points of interest and history. This guide helps citizens monitoring their local lake for aquatic invasive species (AIS) with surveying tips and ID pages. Limited copies available for distribution. This book shows how shoreline homeowners can protect water quality with native shoreline plants AND have a beautiful garden. Limited copies available for distribution. Available for purchase on Amazon. This planning guide contains a framework for community adaptation planning in the face of climate and landscape change. Community Adaptation PDF available here. This booklet contains tips for yard care for each season, including turf grass and plantings. Limited copies available for distribution. This brochure includes the purpose of a raingarden and tips for installation. 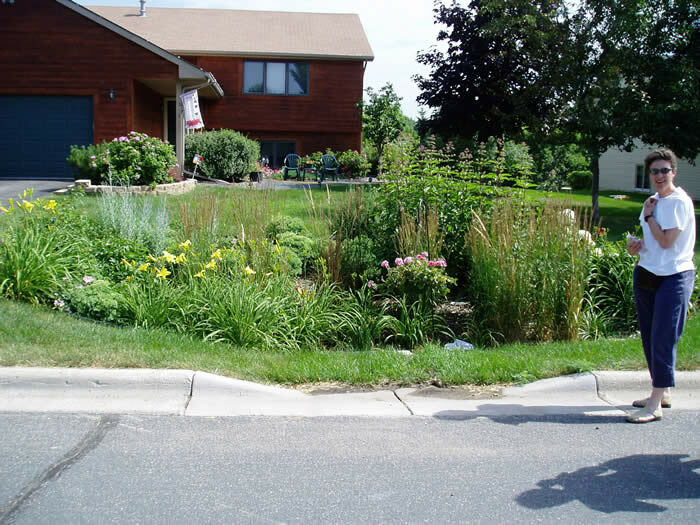 This brochure contains tips for maintaining your raingarden including wedding and cleaning. This brochure demonstrates ten actions people can take to help improve our local waterbodies. This brochure describes the benefits of native plants and ways to use them in your gardening. This fact sheet provides examples of native flowers, shrubs, and trees for yards, raingardens, and shorelines.